Our weekly listing includes open calls and other opportunities for artists, filmmakers, and others involved with Chinese culture in this intro section. 1) Lotus Lee Foundation Travel Fellowship – Through the Travel Fellowship, Lotus Lee Foundation hopes to stimulate an in-depth discussion on the future development of the theater and performing arts industry. The fellowship aim to encourage students and young professionals to exam this topic from different perspectives including business model, the market expands, art & technology integration, investment, cross-cultural communication, etc. The fellowship will provide its recipients an opportunity to explore the theater industry in Shanghai, China; to broaden their experience and knowledge on the cultural exchange; to deepen their insights on the future of international performing arts field. We post frequently on our Facebook page. So check the page for links we share and get a heads up on events before we include them in these weekly posts. For art, images, and other instances of Chineseness we see, follow us on Instagram. We’re looking for contributors! If you’re interested in writing an article, contributing photos or artwork to be featured with our weekly events and exhibitions listing, letting us know about an event, send a pitch at beyondchinatown@gmail.com. 1) A Chinese Opera Showcase with Chinese Theatre Works – The Asian American Arts Alliance invites you to an afternoon of traditional Chinese performance. Join them at Conference House Park Conservancy’s Biddle House where Chinese Theatre Works will perform excerpts from traditional Chinese opera in a special outdoor performance complete with singing, dancing, and music. Following the performance, CTW will host an interactive artist demonstration in which audience members can engage with the performers. A tour of the exhibition in Chinese will be offered at 2pm. Yun-Fei Ji is interested in the ways in which people enact their agency both individually and collectively in the face of these larger societal forces, often through subtle but willful acts of resistance. 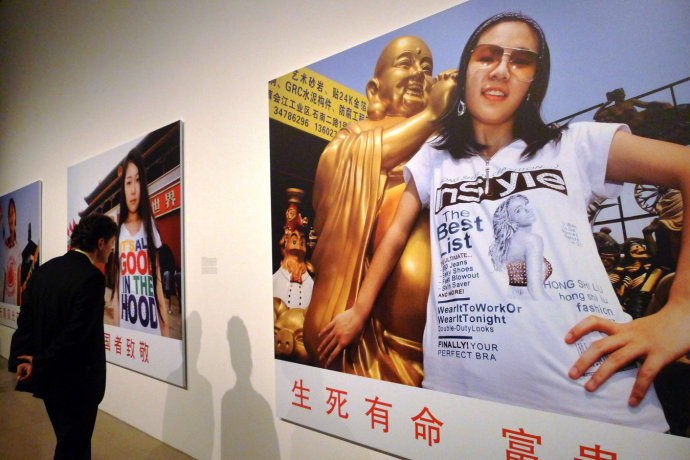 After spending the past six years in Beijing, Ji currently divides his time between New York and rural Ohio – an experience that has amplified his perceptions of the cultural and ideological disparities in this turbulent political moment. 3) Studies: A Power-Induced-Lecture – A new participatory performance that is part of the Museum of Chinese in America’s current exhibition on Chinese Medicine in America: a Qigong masterclass as an investigation into the “power-induced-lecture.” This form of mass teaching and public assembly mobilized unprecedented numbers of amateurs and practitioners in the height of the Qigong fever in the 1980s-90s that swept over Reform-era China. Studies recreate such a gathering in the absence of the master. Informed by archival research, the performance uses physical and discursive reenactment to activate a hidden transcript of the Qigong archive as an opaque, fluid system of knowledge and communication, where the Qi acts as an unreliable medium in collective processes of bodily, spiritual, and cognitive mediation. Herein lies the opening to a possible “art of not being governed” that is at once embodied, fugitive, and utopian. The performance will incorporate dance developed from Qigong movements, spoken texts written collaboratively, and a post-performance Q & A and reception. Future Host is an ensemble formed by Tingying Ma and Kang Kang. “Studies: A Power-Induced-Lecture” is the latest installment of our Studies dance cycle, which has been in development since 2016. 4) Peony Pavilion: The Interrupted dream, Search for the Dream 《牡丹亭·驚夢、尋夢 》 – The New York Chinese Opera society performs this Kunqu opera classic. 5) 「……I……」, a performance by Lin Jingjing – Curated by Ara Qiu, 「……I……」is an interactive site specific performance conceived by the RU artist Lin Jingjing where a group of performers read out loud and in cadence excerpts from speeches delivered by Donald Trump during his presidency where all the text has been removed except for the pronoun “I” and emphatic words such as “great” and “huge”. The rhythm of the performance is controlled by a metronome activated by the artist. 6) Ming River Sichuan Baijiu Popup – Journey to the heart of Sichuan with free cocktails, baijiu tasting flights and food pairings by M Greenpoint. Meet the founders and learn all about the exciting world of baijiu. Specialty cocktails by Don Lee (Existing Conditions, NY), Shannon Mustipher (Glady’s, Brooklyn) and David Putney (Capital Spirits, Beijing). 7) Homeward Bound: Oral Histories of the Diaspora – How do oral histories document generations past and present? How do these stories shape our future? What are the stories you have been waiting to tell? Four multimedia storytellers, scholars, and organizers share their work documenting personal, local, and global stories of the diaspora. We will be exploring these questions in a conversation with writers and multimedia storytellers Huiying B. Chan, Nyssa Chow, Tao Goffe, and Diane Wong. 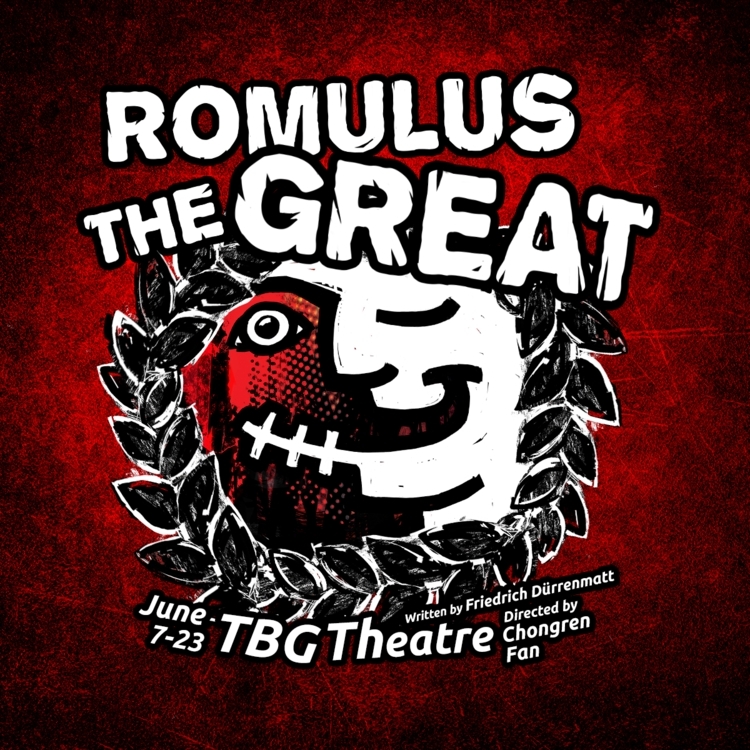 1) Romulus the Great – Yangtze Repertory Theater presents this play by Friedrich Dürrenmatt. Set in a fictional Roman Empire, emperor Romulus the Great chose not to be “great.” Facing the increasing peril of the Germanic invasion and the demise of the Empire, Romulus prefers to stay at home breeding chickens. Is his refusal of responsibility to govern stupidity? Or does he have other plans? 2) How Long Will I Love You 《超時空同居》－ In this rollicking romantic comedy, a man and a woman living in the same apartment nearly twenty years apart wake one day to find their timelines have merged. Now they’re stuck with one another, unless they can work together long enough to find a way back to their normal lives… if destiny will allow it. Lulu Meng is part of Tailbone at 47 Canal on view through June 29. 1) Ping Zheng (Gallery 456, 6/8 – 7/6) – The solo exhibition features new large and small-scale painting on paper, inspired by a painting of butterflies and fish she saw at the New Museum show, Trigger: Gender as a Tool and a Weapon. Ping Zheng has been living and working in Brooklyn since she came back from her artist residence trips. Her American travel evoked childhood memories of natural landscapes and gave her a renewed sense of self-discovery. Ping was born in China and grew up in a traditional patriarchal family under the restriction of the government’s one-child policy. She avoided family pressures by spending time in the outdoors, living in many different geographic regions and experiencing starkly contrasting natural environments. Nature has always been her refuge. Ping Zheng’s artwork, straddling the line between figurative and abstract, functions as a metaphor for the energy and limitless possibilities erupting from artistic freedom and her passionate belief in equality. 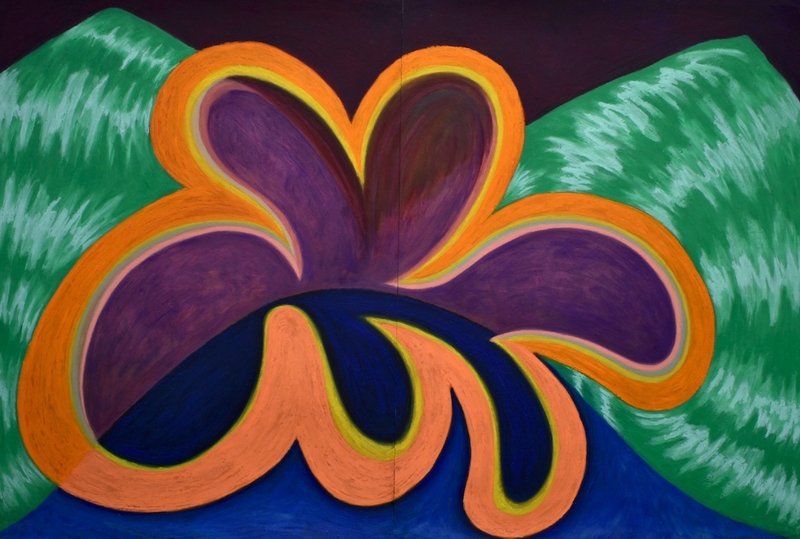 Her new paintings are an extension of the ideas she first explored in a series shown at the Nancy Margolis Gallery, which was also grounded in references to nature. Though Ping feels that she has become a “New Yorker” after a year of working in her Brooklyn studio, she remains fascinated by the many ways that nature informs the language of painting. Soonae Tark’s Constructions is also on view at the gallery. Ping Zheng – ‘Wild Nature’, Oil Sticks on Paper, 36 x 58 in. 2) Outside the Palace of Heavenly Purity (bitforms gallery, 6/7 – 7/22) – A group exhibition curated by research collective EST. Featuring work by Ho Rui An, Jen Liu, Ingrid Zhuang, Zheng Bo, and O Zhang, Outside the Palace of Heavenly Purity presents narratives that complicate the prevailing idea of globalization as a force emanating directly from privileged Western centers. Engaging with a variety of speculative models, these works explore the dynamics of emergent networks of power within the global landscape and its local permutations. As new economies infiltrate the global marketplace, they disrupt the previously one-sided injection of language, culture, and goods from Western industrial powers into the rest of the world. Balances of power are re-negotiated, as the processes of globalization adopt local characteristics to create unique structures of influence that re-shape both international and domestic relationships. In light of Western anxieties around its rising economic power, Outside the Palace of Heavenly Purity examines China—its government, bounds, inhabitants, and diaspora—as a case study. The presented works comment both directly and indirectly on China’s challenge to the assumed linearity of globalization, calling attention to labor, citizenship, ecology, and the fleshy materiality of the state within an artificial vision of frictionless growth. See the full press release for descriptions of the works on view. 3) Chewing Theory – Chewing Monster (Red Brick Space, 198 Allen Street, 6/14 – 6/24) – An immersive pop-up game arcade. The exhibition attempts to explore intercultural, intergroup, intermedia, and “interspecies” communication in the posthuman era from within the imagined context of an alien farm. The visitors are invited to “raise” and “nurture”-through their interactions with the installations-an alien monster that produce cognition-enhancing edibles. Chewing Monster brings together innovative ideas from the worlds of art, design, digital programming, gaming, and dining. It offers visitors an entertaining “farm-to-table” experience and showcases an alluring world of intense visual, cerebral, and sensory pleasures. Chewing Monster is created and presented by Chewing Theory in collaboration with Cloud Gallery. The Milk Fermentation Tank, artist Yuxi Cao’s art work RedTide. Chewing Theory is a creative brand founded by HE Wei, the member of NEW INC and co-founder of the HE+HU Creative Collective. Consistent with the collective’s previous endeavor, the brand is dedicated to sensory experience, cultural communication, and human-machine interaction through interdisciplinary art programs, combining sculpture, installation, design, technology, performance, and food to create a participatory art event. We aim to explore the balance among space, art, and the digital (virtual) world that at the moment intersects closely with the physical one. Visit the exhibition calendar for details on the current shows listed below. Check the museum’s or gallery’s website for hours of operation.